1. Introduction to Six Sigma In this lesson, we introduce the concepts behind Six Sigma, the history of the development of this quality management technique, and highlight applications of Six Sigma in the healthcare field. We will review the idea of Six Sigma quality management; Define the "Six" in Six Sigma; Understand the meaning of "Defects per Million Opportunities (DPMO)“; and Evaluate and compare different processes in and out of healthcare using Defects Per Million counting. 2. Two Approaches to Six Sigma In this lesson, you will learn there are actually two ways to determine a Sigma-metric. The most common approach is to count defects, determine the defect%, converted to a defects-per-million rate, and then use a table to look up the appropriate Sigma-metric. The second approach is to use the measurement of process variation to estimate the Sigma-metric. 3. Analytical Performance Capability In this lesson, we encounter the equations that determine the analytical Sigma-metric, and how this metric is related to short-term Sigma metric. We introduce the concepts behind Six Sigma, the history of the development of this quality management technique, and highlight applications of Six Sigma in the healthcare field. 4. QC Design and Rule Selection In this lesson, we move beyond just the calculation of the Sigma-metric. 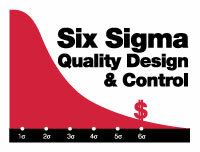 We explore its implications - what does it mean to have a Six Sigma method? What does it mean to have a Three Sigma method? What are the consequences to laboratory operation? How many controls must be run? How many rules must be implemented and interpreted? How often must the lab run QC for any particular method? 5. Quality Design and Control Selection In this lesson, we concentrate on the implementation of the Six Sigma metric implications. There are multiple variables that are used to determine the Sigma-metric. There are also multiple factors that determine the performance of a QC procedure. All of those variables and factors combine on an OPSpecs chart to determine what QC procedure is most appropriate for a particular laboratory method. There are multiple applications for the OPSpecs chart, from setting goals for a method purchase, to optimizing QC for the method that you have purchased. 6. Using Method Decision Charts and OPSpecs Charts In this lesson, we drill down to great detail of the construction and use of the Method Decision Chart and the OPSpecs chart. These graphs encapsulate all of the complexity of QC procedure capability and Six Sigma performance. Rather than calculate equations, the user can simply make visual judgments. These tools are used to speed the interpretation of method acceptability and QC optimization. By the end of this lesson, participants will understand how to build a Method Decision Chart; understand how an OPSpecs chart is constructed; plot the operating point of a test method on both a Method Decision Chart and an OPSpecs chart; understand how to select the best QC procedure for a method on an OPSpecs chart; understand how to modify QC frequency based on Sigma-metrics.